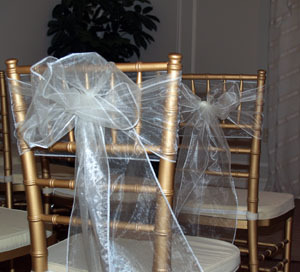 Gauzy bows are outstanding items to add to the aisle chairs. They come in a myriad of colors and can be tied in a variety of ways. They can be purchased for a little over a dollar a piece. They measure 9 inches by 3 feet. 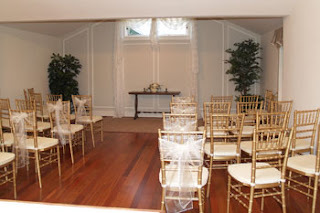 We added ivory sashes to our aisle chairs for a lovely overall effect.